The Fourth Amendment (Amendment IV) to the United States Constitution is part of the Bill of Rights. It prohibits unreasonable searches and seizures. In addition, it sets requirements for issuing warrants: warrants must be issued by a judge or magistrate, justified by probable cause, supported by oath or affirmation, and must particularly describe the place to be searched and the persons or things to be seized. Fourth Amendment case law deals with three main issues: what government activities are "searches" and "seizures," what constitutes probable cause to conduct searches and seizures, and how violations of Fourth Amendment rights should be addressed. Early court decisions limited the amendment's scope to physical intrusion of property or persons, but with Katz v. United States (1967), the Supreme Court held that its protections extend to intrusions on the privacy of individuals as well as to physical locations. A warrant is needed for most search and seizure activities, but the Court has carved out a series of exceptions for consent searches, motor vehicle searches, evidence in plain view, exigent circumstances, border searches, and other situations. The exclusionary rule is one way the amendment is enforced. Established in Weeks v. United States (1914), this rule holds that evidence obtained as a result of a Fourth Amendment violation is generally inadmissible at criminal trials. Evidence discovered as a later result of an illegal search may also be inadmissible as "fruit of the poisonous tree", unless it inevitably would have been discovered by legal means. The Fourth Amendment was adopted in response to the abuse of the writ of assistance, a type of general search warrant issued by the British government, and a major source of tension in pre-Revolutionary America. The Fourth Amendment was introduced in Congress in 1789 by James Madison, along with the other amendments in the Bill of Rights, in response to Anti-Federalist objections to the new Constitution. Congress submitted the amendment to the states on September 28, 1789. By December 15, 1791, the necessary three-fourths of the states had ratified it. On March 1, 1792, Secretary of State Thomas Jefferson announced that it was officially part of the Constitution. Because the Bill of Rights did not initially apply to state or local governments, and federal criminal investigations were less common in the first century of the nation's history, there is little significant case law for the Fourth Amendment before the 20th century. The amendment was held to apply to state and local governments in Mapp v. Ohio (1961) via the Due Process Clause of the Fourteenth Amendment. Charles Pratt, 1st Earl Camden established the English common law precedent against general search warrants. Like many other areas of American law, the Fourth Amendment finds its roots in English legal doctrine. In Semayne's case (1604), Sir Edward Coke famously stated: "The house of every one is to him as his castle and fortress, as well for his defence against injury and violence as for his repose." Semayne's Case acknowledged that the King did not have unbridled authority to intrude on his subjects' dwellings, but recognized that government agents were permitted to conduct searches and seizures under certain conditions when their purpose was lawful and a warrant had been obtained. The 1760s saw a growth in the intensity of litigation against state officers, who, using general warrants, conducted raids in search of materials relating to John Wilkes's publications attacking both government policies and the King himself. The most famous of these cases involved John Entick, whose home was forcibly entered by the King's Messenger Nathan Carrington, along with others, pursuant to a warrant issued by George Montagu-Dunk, 2nd Earl of Halifax authorizing them "to make strict and diligent search for ... the author, or one concerned in the writing of several weekly very seditious papers entitled, 'The Monitor or British Freeholder, No 257, 357, 358, 360, 373, 376, 378, and 380,'" and seized printed charts, pamphlets and other materials. Entick filed suit in Entick v Carrington, argued before the Court of King's Bench in 1765. Charles Pratt, 1st Earl Camden ruled that both the search and the seizure were unlawful, as the warrant authorized the seizure of all of Entick's papers—not just the criminal ones—and as the warrant lacked probable cause to even justify the search. By holding that "[O]ur law holds the property of every man so sacred, that no man can set his foot upon his neighbour's close without his leave", Entick established the English precedent that the executive is limited in intruding on private property by common law. Homes in Colonial America, on the other hand, did not enjoy the same sanctity as their British counterparts, because legislation had been explicitly written so as to enable enforcement of British revenue-gathering policies on customs; until 1750, in fact, the only type of warrant defined in the handbooks for justices of the peace was the general warrant. During what scholar William Cuddihy called the "colonial epidemic of general searches", the authorities possessed almost unlimited power to search for anything at any time, with very little oversight. Massachusetts lawyer James Otis protested British use of general warrants in the American colonies. In 1756, the colony of Massachusetts barred the use of general warrants. This represented the first law in American history curtailing the use of seizure power. Its creation largely stemmed from the great public outcry over the Excise Act of 1754, which gave tax collectors unlimited powers to interrogate colonists concerning their use of goods subject to customs. The act also permitted the use of a general warrant known as a writ of assistance, allowing tax collectors to search the homes of colonists and seize "prohibited and uncustomed" goods. A crisis erupted over the writs of assistance on December 27, 1760, when the news of King George II's death on October 23 arrived in Boston. All writs automatically expired six months after the death of the King, and would have had to be re-issued by George III, the new king, to remain valid. In mid-January 1761, a group of over 50 merchants represented by James Otis petitioned the court to have hearings on the issue. During the five-hour hearing on February 23, 1761, Otis vehemently denounced British colonial policies, including their sanction of general warrants and writs of assistance. However, the court ruled against Otis. Future US President John Adams, who was present in the courtroom when Otis spoke, viewed these events as "the spark in which originated the American Revolution." Because of the name he had made for himself in attacking the writs, Otis was elected to the Massachusetts colonial legislature and helped pass legislation requiring that special writs of assistance be "granted by any judge or justice of the peace upon information under oath by any officer of the customs" and barring all other writs. The governor overturned the legislation, finding it contrary to English law and parliamentary sovereignty. After several years of comparatively weak government under the Articles of Confederation, a Constitutional Convention in Philadelphia proposed a new constitution on September 17, 1787, featuring a stronger chief executive and other changes. George Mason, a Constitutional Convention delegate and the drafter of Virginia's Declaration of Rights, proposed that a bill of rights listing and guaranteeing civil liberties be included. Other delegates—including future Bill of Rights drafter James Madison—disagreed, arguing that existing state guarantees of civil liberties were sufficient and that any attempt to enumerate individual rights risked the implication that other, unnamed rights were unprotected. After a brief debate, Mason's proposal was defeated by a unanimous vote of the state delegations. In the 1st United States Congress, following the state legislatures' request, James Madison proposed twenty constitutional amendments based on state bills of rights and English sources such as the Bill of Rights 1689, including an amendment requiring probable cause for government searches. Congress reduced Madison's proposed twenty amendments to twelve, with modifications to Madison's language about searches and seizures. 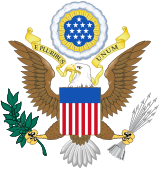 The final language was submitted to the states for ratification on September 25, 1789. By the time the Bill of Rights was submitted to the states for ratification, opinions had shifted in both parties. Many Federalists, who had previously opposed a Bill of Rights, now supported the Bill as a means of silencing the Anti-Federalists' most effective criticism. Many Anti-Federalists, in contrast, now opposed it, realizing that the Bill's adoption would greatly lessen the chances of a second constitutional convention, which they desired. Anti-Federalists such as Richard Henry Lee also argued that the Bill left the most objectionable portions of the Constitution, such as the federal judiciary and direct taxation, intact. In February through June 1790, New York, Pennsylvania, and Rhode Island each ratified eleven of the amendments, including the Fourth. Virginia initially postponed its debate, but after Vermont was admitted to the Union in 1791, the total number of states needed for ratification rose to eleven. Vermont ratified on November 3, 1791, approving all twelve amendments, and Virginia finally followed on December 15, 1791. Secretary of State Thomas Jefferson announced the adoption of the ten successfully ratified amendments on March 1, 1792. The Bill of Rights originally only restricted the federal government, and went through a long initial phase of "judicial dormancy"; in the words of historian Gordon S. Wood, "After ratification, most Americans promptly forgot about the first ten amendments to the Constitution." Federal jurisdiction regarding criminal law was narrow until the late 19th century when the Interstate Commerce Act and Sherman Antitrust Act were passed. As federal criminal jurisdiction expanded to include other areas such as narcotics, more questions about the Fourth Amendment came to the Supreme Court. The U.S. Supreme Court responded to these questions by outlining the fundamental purpose of the amendment as guaranteeing "the privacy, dignity and security of persons against certain arbitrary and invasive acts by officers of the Government, without regard to whether the government actor is investigating crime or performing another function". In Mapp v. Ohio (1961), the U.S. Supreme Court ruled that the Fourth Amendment applies to the states by way of the Due Process Clause of the Fourteenth Amendment. Fourth Amendment case law deals with three central issues: what government activities constitute "search" and "seizure"; what constitutes probable cause for these actions; how violations of Fourth Amendment rights should be addressed. The Fourth Amendment typically requires "a neutral and detached authority interposed between the police and the public", and it is offended by "general warrants" and laws that allows searches to be conducted "indiscriminately and without regard to their connection with [a] crime under investigation", for the "basic purpose of the Fourth Amendment, which is enforceable against the States through the Fourteenth, through its prohibition of 'unreasonable' searches and seizures is to safeguard the privacy and security of individuals against arbitrary invasions by governmental officials." The Fourth Amendment has been held to mean that a search or an arrest generally requires a judicially sanctioned warrant, because the basic rule under the Fourth Amendment is that arrests and "searches conducted outside the judicial process, without prior approval by judge or magistrate, are per se unreasonable". In order for such a warrant to be considered reasonable, it must be supported by probable cause and be limited in scope according to specific information supplied by a person (usually a law enforcement officer) who has sworn by it and is therefore accountable to the issuing court. The Supreme Court further held in Chandler v. Miller (1997): "To be reasonable under the Fourth Amendment, a search ordinarily must be based on individualized suspicion of wrongdoing. But particularized exceptions to the main rule are sometimes warranted based on 'special needs, beyond the normal need for law enforcement'. … When such 'special needs' are alleged, courts must undertake a context-specific inquiry, examining closely the competing private and public interests advanced by the parties." The amendment applies to governmental searches and seizures, but not those done by private citizens or organizations who are not acting on behalf of a government. In Ontario v. Quon (2010), the Court held the amendment to also apply to the government when acting as an employer, ruling that a government could search a police officer's text messages that were sent over that government's pager. Potter Stewart wrote the majority decision in Katz v. United States, which expanded Fourth Amendment protections to electronic surveillance. One threshold question in the Fourth Amendment jurisprudence is whether a "search" has occurred. Initial Fourth Amendment case law hinged on a citizen's property rights—that is, when the government physically intrudes on "persons, houses, papers, or effects" for the purpose of obtaining information, a "search" within the original meaning of the Fourth Amendment has occurred. Early 20th-century Court decisions, such as Olmstead v. United States (1928), held that Fourth Amendment rights applied in cases of physical intrusion, but not to other forms of police surveillance (e.g., wiretaps). In Silverman v. United States (1961), the Court stated of the amendment that "at the very core stands the right of a man to retreat into his own home and there be free from unreasonable governmental intrusion". Fourth Amendment protections expanded significantly with Katz v. United States (1967). In Katz, the Supreme Court expanded that focus to embrace an individual's right to privacy, and ruled that a search had occurred when the government wiretapped a telephone booth using a microphone attached to the outside of the glass. While there was no physical intrusion into the booth, the Court reasoned that: 1) Katz, by entering the booth and shutting the door behind him, had exhibited his expectation that "the words he utters into the mouthpiece will not be broadcast to the world"; and 2) society believes that his expectation was reasonable. Justice Potter Stewart wrote in the majority opinion that "the Fourth Amendment protects people, not places". A "search" occurs for purposes of the Fourth Amendment when the government violates a person's "reasonable expectation of privacy". Katz's reasonable expectation of privacy thus provided the basis to rule that the government's intrusion, though electronic rather than physical, was a search covered by the Fourth Amendment, and thus necessitated a warrant. The Court said that it was not recognizing any general right to privacy in the Fourth Amendment, and that this wiretap could have been authorized if proper procedures had been followed. The Supreme Court has held that the Fourth Amendment does not apply to information that is voluntarily shared with third parties. In Smith, the Court held individuals have no "legitimate expectation of privacy" regarding the telephone numbers they dial because they knowingly give that information to telephone companies when they dial a number. However, under Carpenter v. United States (2018), individuals do have a reasonable expectation of privacy regarding cell phone records that would reveal where that person had traveled over many months and so law enforcement must get a search warrant before obtaining such records. Following Katz, the vast majority of Fourth Amendment search cases have turned on the right to privacy, but in United States v. Jones (2012), the Court ruled that the Katz standard did not replace earlier case law, but rather, has supplemented it. In Jones, law enforcement officers had attached a GPS device on a car's exterior without Jones' knowledge or consent. The Court concluded that Jones was a bailee to the car, and so had a property interest in the car. Therefore, since the intrusion on the vehicle—a common law trespass—was for the purpose of obtaining information, the Court ruled that it was a search under the Fourth Amendment. The Court used similar "trespass" reasoning in Florida v. Jardines (2013), to rule that bringing a drug detection dog to sniff at the front door of a home was a search. In certain situations, law enforcement may perform a search when they have a reasonable suspicion of criminal activity, even if it falls short of probable cause necessary for an arrest. Under Terry v. Ohio (1968), law enforcement officers are permitted to conduct a limited warrantless search on a level of suspicion less than probable cause under certain circumstances. In Terry, the Supreme Court ruled that when a police officer witnesses "unusual conduct" that leads that officer to reasonably believe "that criminal activity may be afoot", that the suspicious person has a weapon and that the person is presently dangerous to the officer or others, the officer may conduct a "pat-down search" (or "frisk") to determine whether the person is carrying a weapon. This detention and search is known as a Terry stop. To conduct a frisk, officers must be able to point to specific and articulable facts which, taken together with rational inferences from those facts, reasonably warrant their actions. As established in Florida v. Royer (1983), such a search must be temporary, and questioning must be limited to the purpose of the stop (e.g., officers who stop a person because they have reasonable suspicion to believe that the person was driving a stolen car, cannot, after confirming that it is not stolen, compel the person to answer questions about anything else, such as the possession of contraband). The Fourth Amendment proscribes unreasonable seizure of any person, person's home (including its curtilage) or personal property without a warrant. A seizure of property occurs when there is "some meaningful interference with an individual's possessory interests in that property", such as when police officers take personal property away from an owner to use as evidence, or when they participate in an eviction. The amendment also protects against unreasonable seizure of persons, including a brief detention. In United States v. Mendenhall (1980), the Court held that a person is seized only when, by means of physical force or show of authority, his freedom of movement is restrained and, in the circumstances surrounding the incident, a reasonable person would believe that he was not free to leave. In Florida v. Bostick (1991), the Court ruled that as long as the police do not convey a message that compliance with their requests is required, the police contact is a "citizen encounter" that falls outside the protections of the Fourth Amendment. If a person remains free to disregard questioning by the government, there has been no seizure and therefore no intrusion upon the person's privacy under the Fourth Amendment. When a person is arrested and taken into police custody, he has been seized (i.e., a reasonable person who is handcuffed and placed in the back of a police car would not think they were free to leave). A person subjected to a routine traffic stop on the other hand, has been seized, but is not "arrested" because traffic stops are a relatively brief encounter and are more analogous to a Terry stop than to a formal arrest. If a person is not under suspicion of illegal behavior, a law enforcement official is not allowed to place an individual under arrest simply because this person does not wish to state his identity, provided specific state regulations do not specify this to be the case. A search incidental to an arrest that is not permissible under state law does not violate the Fourth Amendment, so long as the arresting officer has probable cause. In Maryland v. King (2013), the Court upheld the constitutionality of police swabbing for DNA upon arrests for serious crimes, along the same reasoning that allows police to take fingerprints or photographs of those they arrest and detain. The government may not detain an individual even momentarily without reasonable and articulable suspicion, with a few exceptions. In Delaware v. Prouse (1979), the Court ruled an officer has made an illegal seizure when he stops an automobile and detains the driver in order to check his driver's license and the registration of the automobile, unless the officer has articulable and reasonable suspicion that a motorist is unlicensed or that an automobile is not registered, or either the vehicle or an occupant is otherwise subject to seizure for violation of law. Where society's need is great, no other effective means of meeting the need is available, and intrusion on people's privacy is minimal, certain discretionless checkpoints toward that end may briefly detain motorists. In United States v. Martinez-Fuerte (1976), the Supreme Court allowed discretionless immigration checkpoints. In Michigan Dept. of State Police v. Sitz (1990), the Supreme Court allowed discretionless sobriety checkpoints. In Illinois v. Lidster (2004), the Supreme Court allowed focused informational checkpoints. However, in City of Indianapolis v. Edmond (2000), the Supreme Court ruled that discretionary checkpoints or general crime-fighting checkpoints are not allowed. Under the Fourth Amendment, law enforcement must receive written permission from a court of law, or otherwise qualified magistrate, to lawfully search and seize evidence while investigating criminal activity. A court grants permission by issuing a writ known as a warrant. A search or seizure is generally unreasonable and unconstitutional if conducted without a valid warrant and the police must obtain a warrant whenever practicable. Searches and seizures without a warrant are not considered unreasonable if one of the specifically established and well-delineated exceptions to the warrant requirement applies. These exceptions apply "[o]nly in those exceptional circumstances in which special needs, beyond the normal need for law enforcement, make the warrant and probable cause requirement impracticable". The standards of probable cause differ for an arrest and a search. The government has probable cause to make an arrest when "the facts and circumstances within their knowledge and of which they had reasonably trustworthy information" would lead a prudent person to believe that the arrested person had committed or was committing a crime. Probable cause to arrest must exist before the arrest is made. Evidence obtained after the arrest may not apply retroactively to justify the arrest. When police conduct a search, the amendment requires that the warrant establish probable cause to believe that the search will uncover criminal activity or contraband. They must have legally sufficient reasons to believe a search is necessary. In Carroll v. United States (1925), the Supreme Court stated that probable cause to search is a flexible, common-sense standard. To that end, the Court ruled in Dumbra v. United States (1925) that the term probable cause means "less than evidence that would justify condemnation", reiterating Carroll's assertion that it merely requires that the facts available to the officer would "warrant a man of reasonable caution" in the belief that specific items may be contraband or stolen property or useful as evidence of a crime. It does not demand any showing that such a belief be correct or more likely true than false. A "practical, non-technical" probability that incriminating evidence is involved is all that is required. In Illinois v. Gates (1983), the Court ruled that the reliability of an informant is to be determined based on the "totality of the circumstances". If a party gives consent to a search, a warrant is not required. There are exceptions and complications to the rule, including the scope of the consent given, whether the consent is voluntarily given, and whether an individual has the right to consent to a search of another's property. In Schneckloth v. Bustamonte (1973), the Court ruled that a consent search is still valid even if the police do not inform a suspect of his right to refuse the search. This contrasts with Fifth Amendment rights, which cannot be relinquished without an explicit Miranda warning from police. The Court stated in United States v. Matlock (1974) that a third party co-occupant could give consent for a search without violating a suspect's Fourth Amendment rights. However, in Georgia v. Randolph (2006), the Supreme Court ruled that when two co-occupants are both present, one consenting and the other rejecting the search of a shared residence, the police may not make a search of that residence within the consent exception to the warrant requirement. Per the Court's ruling in Illinois v. Rodriguez (1990), a consent search is still considered valid if police accept in good faith the consent of an "apparent authority", even if that party is later discovered to not have authority over the property in question. A telling case on this subject is Stoner v. California, in which the Court held that police officers could not rely in good faith upon the apparent authority of a hotel clerk to consent to the search of a guest's room. According to the plain view doctrine as defined in Coolidge v. New Hampshire (1971), if an officer is lawfully present, he may seize objects that are in "plain view". However, the officer must have had probable cause to believe that the objects are contraband. What's more, the criminality of the object in plain view must be obvious by its very nature. In Arizona v. Hicks, the Supreme Court held that an officer stepped beyond the plain view doctrine when he moved a turntable in order to view its serial number to confirm that the turntable was stolen. "A search is a search", proclaimed the Court, "even if it happens to disclose nothing but the bottom of a turntable." Similarly, "open fields" such as pastures, open water, and woods may be searched without a warrant, on the ground that conduct occurring therein would have no reasonable expectation of privacy. The doctrine was first articulated by the Court in Hester v. United States (1924), which stated that "the special protection accorded by the Fourth Amendment to the people in their 'persons, houses, papers, and effects,' is not extended to the open fields." While open fields are not protected by the Fourth Amendment, the curtilage, or outdoor area immediately surrounding the home, is protected. Courts have treated this area as an extension of the house and as such subject to all the privacy protections afforded a person's home (unlike a person's open fields) under the Fourth Amendment. The curtilage is "intimately linked to the home, both physically and psychologically," and is where "privacy expectations are most heightened." However, courts have held aerial surveillance of curtilage not to be included in the protections from unwarranted search so long as the airspace above the curtilage is generally accessible by the public. An area is curtilage if it "harbors the intimate activity associated with the sanctity of a man's home and the privacies of life." Courts make this determination by examining "whether the area is included within an enclosure surrounding the home, the nature of the uses to which the area is put, and the steps taken by the resident to protect the area from observation by people passing by." The Court has acknowledged that a doorbell or knocker is typically treated as an invitation, or license, to the public to approach the front door of the home to deliver mail, sell goods, solicit for charities, etc. This license extends to the police, who have the right to try engaging a home's occupant in a "knock and talk" for the purpose of gathering evidence without a warrant. However, they cannot bring a drug detection dog to sniff at the front door of a home without either a warrant or consent of the homeowner or resident. Law enforcement officers may also conduct warrantless searches in several types of exigent circumstances where obtaining a warrant is dangerous or impractical. One example is the Terry stop, which allows police to frisk suspects for weapons. The Court also allowed a search of arrested persons in Weeks v. United States (1914) to preserve evidence that might otherwise be destroyed and to ensure suspects were disarmed. In Carroll v. United States (1925), the Court ruled that law enforcement officers could search a vehicle that they suspected of carrying contraband without a warrant. The Court allowed blood to be drawn without a warrant from drunk-driving suspects in Schmerber v. California (1966) on the grounds that the time to obtain a warrant would allow a suspect's blood alcohol content to reduce, although this was later modified by Missouri v. McNeely (2013). Warden v. Hayden (1967) provided an exception to the warrant requirement if officers were in "hot pursuit" of a suspect. A subset of exigent circumstances is the debated community caretaking exception. The Supreme Court has held that individuals in automobiles have a reduced expectation of privacy, because (1) vehicles generally do not serve as residences or repositories of personal effects, and (2) vehicles "can be quickly moved out of the locality or jurisdiction in which the warrant must be sought." Vehicles may not be randomly stopped and searched; there must be probable cause or reasonable suspicion of criminal activity. Items in plain view may be seized; areas that could potentially hide weapons may also be searched. With probable cause to believe evidence is present, police officers may search any area in the vehicle. However, they may not extend the search to the vehicle's passengers without probable cause to search those passengers or consent from the passengers. In Collins v. Virginia (2018), the Court ruled that the motor vehicle exception did not apply to searches of vehicles parked within a residence's curtilage. In Arizona v. Gant (2009), the Court ruled that a law enforcement officer needs a warrant before searching a motor vehicle after an arrest of an occupant of that vehicle, unless 1) at the time of the search the person being arrested is unsecured and within reaching distance of the passenger compartment of the vehicle or 2) police officers have reason to believe that evidence for the crime for which the person is being arrested will be found in the vehicle. A common law rule from Great Britain permits searches incident to an arrest without a warrant. This rule has been applied in American law, and has a lengthy common law history. The justification for such a search is to prevent the arrested individual 1.) from destroying evidence or 2.) using a weapon against the arresting officer by disarming the suspect. The U.S. Supreme Court ruled that "both justifications for the search-incident-to-arrest exception are absent and the rule does not apply", when "there is no possibility" that the suspect could gain access to a weapon or destroy evidence. In Trupiano v. United States (1948), the Supreme Court held that "a search or seizure without a warrant as an incident to a lawful arrest has always been considered to be a strictly limited right. It grows out of the inherent necessities of the situation at the time of the arrest. But there must be something more in the way of necessity than merely a lawful arrest." In United States v. Rabinowitz (1950), the Court reversed Trupiano, holding instead that the officers' opportunity to obtain a warrant was not germane to the reasonableness of a search incident to an arrest. Rabinowitz suggested that any area within the "immediate control" of the arrestee could be searched, but it did not define the term. In deciding Chimel v. California (1969), the Supreme Court elucidated its previous decisions. It held that when an arrest is made, it is reasonable for the officer to search the arrestee for weapons and evidence. However, in Riley v. California (2014), the Supreme Court ruled unanimously that police must obtain a warrant to search an arrestee's cellular phone. The Court said that earlier Supreme Court decisions permitting searches incident to an arrest without a warrant do not apply to "modern cellphones, which are now such a pervasive and insistent part of daily life that the proverbial visitor from Mars might conclude they were an important feature of human anatomy," and noted that US citizens' cellphones today typically contain "a digital record of nearly every aspect of their lives — from the mundane to the intimate." Searches conducted at the United States border or the equivalent of the border (such as an international airport) may be conducted without a warrant or probable cause subject to the border search exception. Most border searches may be conducted entirely at random, without any level of suspicion, pursuant to U.S. Customs and Border Protection plenary search authority. However, searches that intrude upon a traveler's personal dignity and privacy interests, such as strip and body cavity searches, must be supported by "reasonable suspicion." The U.S. Courts of Appeals for the Fourth and Ninth circuits have ruled that information on a traveler's electronic materials, including personal files on a laptop computer, may be searched at random, without suspicion. The Supreme Court decision in United States v. U.S. District Court (1972) left open the possibility for a foreign intelligence surveillance exception to the warrant clause. Three United States Courts of Appeals have recognized a foreign intelligence surveillance exception to the warrant clause, but tied it to certain requirements. The exception to the Fourth Amendment was formally recognized by the United States Foreign Intelligence Surveillance Court of Review in its 2008 In re Directives decision. The lower court held that, "a foreign intelligence exception to the Fourth Amendment's warrant requirement exists when surveillance is conducted to obtain foreign intelligence for national security purposes and is directed against foreign powers or agents of foreign powers reasonably believed to be located outside the United States." Despite the foregoing citation the Fourth Amendment prohibitions against unreasonable searches and seizures nonetheless apply to the contents of all communications, whatever the means, because, "a person's private communications are akin to personal papers." To protect the telecommunication carriers cooperating with the US government from legal action, the Congress passed a bill updating the Foreign Intelligence Surveillance Act of 1978 to permit this type of surveillance. In New Jersey v. T. L. O. (1985), the Supreme Court ruled that searches in public schools do not require warrants, as long as the searching officers have reasonable grounds for believing that the search will result in the finding of evidence of illegal activity. However, in Safford Unified School District v. Redding (2009), the Court ruled that school officials violated the Fourth Amendment when they strip searched a 13-year-old girl based only on a student claiming to have received drugs from that student. Similarly, in Samson v. California (2006), the Court ruled that government offices may be searched for evidence of work-related misconduct by government employees on similar grounds. Searches of prison cells are subject to no restraints relating to reasonableness or probable cause. One way courts enforce the Fourth Amendment is through the use of the exclusionary rule. The rule provides that evidence obtained through a violation of the Fourth Amendment is generally not admissible by the prosecution during the defendant's criminal trial. The Court stated in Elkins v. United States (1960) that the rule's function "is to deter—to compel respect for the constitutional guaranty in the only effectively available way—by removing the incentive to disregard it." The Court adopted the exclusionary rule in Weeks v. United States (1914), prior to which all evidence, no matter how seized, could be admitted in court. In Silverthorne Lumber Co. v. United States (1920) and Nardone v. United States (1939), the Court ruled that leads or other evidence resulting from illegally obtained evidence are also inadmissible in trials. Justice Felix Frankfurter described this secondary evidence in the Nardone decision as the "fruit of the poisonous tree". The Supreme Court rejected incorporating the exclusionary rule by way of the Fourteenth Amendment in Wolf v. Colorado (1949), but Wolf was explicitly overruled in Mapp v. Ohio (1961), making the Fourth Amendment (including the exclusionary rule) applicable in state proceedings. The exclusionary rule and its effectiveness have often been controversial, particularly since its 1961 application to state proceedings. Critics charge that the rule hampers police investigation and can result in freeing guilty parties convicted on reliable evidence; other critics state that the rule has not been successful in deterring illegal police searches. Proponents argue that the number of criminal convictions overturned under the rule has been minimal and that no other effective mechanism exists to enforce the Fourth Amendment. In 1982, California passed a "Victim's Bill of Rights" containing a provision to repeal the exclusionary rule; though the bill could not affect federally mandated rights under the Fourth Amendment, it blocked the state courts from expanding these protections further. Since United States v. Calandra (1974), the Supreme Court has repeatedly limited the exclusionary rule. The Court in Calandra ruled that grand juries may use illegally obtained evidence when questioning witnesses, because "the damage to that institution from the unprecedented extension of the exclusionary rule outweighs the benefit of any possible incremental deterrent effect." Explaining the purpose of the rule, the Court said that the rule "is a judicially created remedy designed to safeguard Fourth Amendment rights generally through its deterrent effect, rather than a personal constitutional right of the party aggrieved." In United States v. Leon (1984), the Court established the "good faith" exception to the rule, ruling that evidence seized by officers reasonably relying on a warrant was still admissible, even though the warrant was later found to be defective, unless an officer dishonestly or recklessly prepared an affidavit to seek a warrant, the issuing magistrate abandoned his neutrality, or the warrant lacked sufficient particularity. The Court determined in Nix v. Williams (1984) that "fruit of the poisonous tree" evidence could still be introduced if a prosecutor could demonstrate that it would have been an "inevitable discovery" of legitimate investigation. In Segura v. United States (1984), the Court ruled that evidence illegally found without a search warrant is admissible if the evidence is later found and legally seized based on information independent of the illegal search. In Arizona v. Evans (1995) and Herring v. United States (2009), the Court ruled that the exclusionary rule does not apply to evidence found due to negligence regarding a government database, as long as the arresting police officer relied on that database in "good faith" and the negligence was not pervasive. In Davis v. United States (2011), the Court ruled that the exclusionary rule does not apply to a Fourth Amendment violation resulting from a reasonable reliance on binding appellate precedent. In Utah v. Strieff (2016), the Court ruled that evidence obtained from an unlawful police stop would not be excluded from court when the link between the stop and the evidence's discovery was "attenuated" by the discovery of an outstanding warrant during the stop. On December 16, 2013, in Klayman v. Obama, a United States district court ruled that the mass collection of metadata of Americans' telephone records by the National Security Agency probably violates the Fourth Amendment. The court granted a preliminary injunction, blocking the collection of phone data for two private plaintiffs and ordered the government to destroy any of their records that have been gathered. The court stayed the ruling pending a government appeal, recognizing the "significant national security interests at stake in this case and the novelty of the constitutional issues". However, in ACLU v. Clapper, a United States district court ruled that the U.S. government's global telephone data-gathering system is needed to thwart potential terrorist attacks, and that it can only work if everyone's calls are included. The court also ruled that Congress legally set up the program and that it does not violate anyone's constitutional rights. The court concluded that the telephone data being swept up by NSA did not belong to telephone users, but to the telephone companies. Also, the court held that when NSA obtains such data from the telephone companies, and then probes into it to find links between callers and potential terrorists, this further use of the data was not even a search under the Fourth Amendment, concluding that the controlling precedent is Smith v. Maryland, saying "Smith's bedrock holding is that an individual has no legitimate expectation of privacy in information provided to third parties." The American Civil Liberties Union declared on January 2, 2014, that it will appeal the ruling that NSA bulk phone record collection is legal. "The government has a legitimate interest in tracking the associations of suspected terrorists, but tracking those associations does not require the government to subject every citizen to permanent surveillance," deputy ACLU legal director Jameel Jaffer said in a statement. ^ Denniston, Lyle (April 25, 2014). "Argument preview: Police and cellphone privacy". SCOTUSblog. Retrieved July 1, 2014. ^ "Bill of Rights Transcript Text". ^ a b c Kilman & Costello (2006), p. 1281–1282. ^ Levy (1995), p. 150. ^ Fuqua, David (Fall 2014). "Technology and the Fourth Amendment: History and Application of Principles of Decision in Light of New Means of Surveillance". FDCC Quarterly. 64: 2–25. ^ Wroth & Zobel (1965), p. 113, fn 22: "The writs of assistance did not become an issue until news of King George II's death arrived in Boston December 27, 1760." ^ Wroth & Zobel (1965), p. 113, fn 23. ^ Lasson (1937), p. 57–61. ^ Adams & Adams (1856), p. 59. ^ Lasson (1937), p. 66. ^ a b Levy (1995), p. 161. ^ Roots, Roger (January 13, 2010). "The Originalist Case for the Fourth Amendment Exclusionary Rule" (PDF). Gonzaga Law Review. p. 20 (fn. 118). Retrieved January 8, 2012. ^ "Constitution of the Commonwealth of Massachusetts". ^ a b Cuddihy, William (1986). "Fourth Amendment, Historical Origins of". Encyclopedia of the American Constitution. – via HighBeam Research (subscription required). Archived from the original on September 21, 2013. Retrieved July 27, 2013. ^ Beeman (2009), p. 341–43. ^ Maier (2010), p. 431. ^ "Amendment IV", The Founders Constitution, University of Chicago Press. ^ Gordon, John D. (III). "Egbert Benson: A Nationalist in Congress", in Neither Separate Nor Equal: Congress in the 1790s, pp. 69-73 (edited by Kenneth R. Bowling and Donald R. Kennon of the United States Capitol Historical Society, published by Ohio University Press in 2000). ^ "Bill of Rights". National Archives. Archived from the original on April 4, 2013. Retrieved April 4, 2013. ^ Wood (2009), p. 71. ^ a b c Levy, Leonard W. (1986). "Bill of Rights (United States)". Encyclopedia of the American Constitution. – via HighBeam Research (subscription required). Archived from the original on September 21, 2013. Retrieved July 16, 2013. ^ a b Labunski (2006), p. 245. ^ Labunski (2006), p. 255. ^ Labunski (2006), p. 258–59. ^ Wood (2009), p. 72. ^ Lasson (1937), p. 106. ^ a b Ontario v. Quon, 130 S.Ct. 2619, No. 08-1332, 560 U.S. 746 (2010). ^ a b Mapp v. Ohio, 367 U.S. 643 (1961). ^ Landynski, Jacob W. (1986). "Mapp v. Ohio". Encyclopedia of the American Constitution. – via HighBeam Research (subscription required). Archived from the original on September 21, 2013. Retrieved July 28, 2013. ^ Arenella, Peter (1992). "Fourth Amendment". Encyclopedia of the American Constitution. – via HighBeam Research (subscription required). Archived from the original on September 21, 2013. Retrieved July 28, 2013. ^ Berger v. New York, 388 U.S. 41, 54,59 (1967). ^ Camara v. Municipal Court of City and County of San Francisco, 387 U.S. 523 (1967). ^ Arizona v. Gant, 556 U.S. 332 (2009), at page 338. ^ Chandler v. Miller, 520 U.S. 305 (1997). ^ United States v. Jacobsen, 466 U.S. 109 (1984): "This Court has … consistently construed this protection as proscribing only governmental action; it is wholly inapplicable to a search or seizure, even an unreasonable one, effected by a private individual not acting as an agent of the Government or with the participation or knowledge of any governmental official." (punctuation omitted). ^ "City of Ontario v. Quon". SCOTUSblog. Retrieved December 28, 2013. ^ a b c d Schwartz, Herman (1986). "Katz v. United States 389 U.S. 347 (1967)". Encyclopedia of the American Constitution. – via HighBeam Research (subscription required). Archived from the original on September 21, 2013. Retrieved July 28, 2013. ^ Silverman v. United States, 365 U.S. 505, 511 (1961). ^ Katz v. United States, 389 U.S. 347 (1967). ^ Katz, 389 U.S. at 351. ^ a b Schroeder, Steve (2012). The Lure: The True Story of How the Department of Justice Brought Down Two of the World's Most Dangerous Cyber Criminals. Cengage Learning. p. 127. ISBN 1-4354-5713-7. ^ Morgan, Candace. "Challenges and Issues Today" in Intellectual Freedom Manual, pp. 41–42 (American Library Association, Office for Intellectual Freedom, 2010). ^ a b Smith v. Maryland, 442 U.S. 735 (1979). ^ Freiwald, Susan (2007). "First Principles of Communications Privacy" (PDF). Stanford Technology Law Review (3). Archived from the original (PDF) on June 17, 2013. ^ Sorosky, Schuyler. "United States v. Forrester: An Unwarranted Narrowing of the Fourth Amendment", Loyola of Los Angeles Law Review, Vol. 41, p. 1121, 1126 (2008). ^ Smith v. Maryland, 442 U.S. 735, 743-44 (1979); United States v. Miller, 425 U.S. 435, 440-41 (1976). ^ "Smith v. Maryland". The Oyez Project at IIT Chicago-Kent College of Law. The Oyez Project at IIT Chicago-Kent College of Law. Retrieved January 13, 2014. Because the Fourth Amendment does not apply to information that is voluntarily given to third parties, the telephone numbers that are regularly and voluntarily provided to telephone companies by their customers do not gain Fourth Amendment protections. ^ Smith, 442 U.S. at 742. ^ Howe, Amy (June 22, 2018). "Opinion analysis: Court holds that police will generally need a warrant for cellphone location information". SCOTUSblog. Retrieved June 22, 2018. ^ Chaker, Vania (September 21, 2018). "Your Spying Smartphone: Individual Privacy Is Narrowly Strengthened in Carpenter v. United States, The U.S. Supreme Court's Most Recent Fourth Amendment Ruling" (PDF). Journal of Tech Law. Retrieved September 21, 2018. ^ United States v. Jones, No. 10-1259, 565 U.S. ___ (2012). ^ Denniston, Lyle (January 23, 2012). "Opinion recap: Tight limit on police GPS use". SCOTUSblog. Retrieved January 23, 2012. ^ Florida v. Jardines, No. 11-564, 569 U.S. ___ (2013). ^ Landynski, Jacob W. (1986). "Terry v. Ohio 392 U.S. 1 (1968) Sibron v. New York 392 U.S. 40 (1968)". Encyclopedia of the American Constitution. – via HighBeam Research (subscription required). Archived from the original on June 10, 2014. Retrieved July 28, 2013. ^ a b Florida v. Royer, 460 U.S. 491, 497–98 (1983). ^ "Florida v. Royer". casebriefs.com. Retrieved July 28, 2013. ^ Jacobsen, 466 U.S. at 113. ^ Soldal v. Cook County, 506 U.S. 56, 61 (1992). "The right against unreasonable seizures would be no less transgressed if the seizure of the house was undertaken to collect evidence, verify compliance with a housing regulation, effect an eviction by the police, or on a whim, for no reason at all." ^ a b c d United States v. Mendenhall, 446 U.S. 544 (1980). ^ Dunaway v. New York, 442 U.S. 200, 210 n. 12, 99 S.Ct. 2248, 2255 n. 12, 60 L.Ed.2d 824 (1979). ^ Florida v. Bostick, 501 U.S. 429, 439 (1991). ^ Knowles v. Iowa, 525 U.S. 113, 117 (1998). ^ Moritz, Rob (April 5, 2008). "Fed appeals court says refusal to identify no cause for arrest". Arkansas News Bureau. Archived from the original on June 13, 2008. Retrieved April 6, 2012. ^ Virginia v. Moore, No. 06-1082, 553 U.S. 164 (2008). ^ "Court allows search and seizure in Va. case". USA Today. April 23, 2008. Retrieved April 11, 2012. ^ Maryland v. King, No. 12-207, 569 U.S. ___ (2013). ^ June, Daniel. (June 3, 2013)"Supreme Court Approves Use of DNA Swabbing in Serious Arrests". JDJournal. Accessed August 2, 2013. ^ Delaware v. Prouse, 440 U.S. 648 (1979). ^ Landynski, Jacob W. (1986). "Automobile search". Encyclopedia of the American Constitution. – via HighBeam Research (subscription required). Archived from the original on June 10, 2014. Retrieved July 28, 2013. ^ United States v. Martinez-Fuerte, 428 U.S. 543 (1976). ^ Michigan Dept. of State Police v. Sitz 496 U.S. 444 (1990). ^ Illinois v. Lidster, 540 U.S. 419 (2004). ^ City of Indianapolis v. Edmond, 531 U.S. 32 (2000). ^ Maryland v. Dyson, 527 U.S. 465 (1999). ^ Andrews v. Fuoss , 417 F.3d 813 (8th Cir. 2005). ^ Flippo v. West Virginia, 528 U.S. 11 (1999); California v. Acevedo, 500 U.S. 565 (1991). ^ a b New Jersey v. T. L. O., 469 U.S. 325 (1985). "[W]arrantless searches are per se unreasonable, subject only to a few specifically delineated and well-recognized exceptions. ... full-scale searches – whether conducted in accordance with the warrant requirement or pursuant to one of its exceptions – are 'reasonable' in Fourth Amendment terms only on a showing of probable cause to believe that a crime has been committed and that evidence of the crime will be found in the place to be searched." ^ T. L. O., 469 U.S., Blackmun, J., concurring. ^ Keeley III., Charles J. (2006). "Article 8 - Subway Searches: Which Exception to the Warrant and Probable Cause Requirements Applies to Suspicionless Searches of Mass Transit Passengers To Prevent Terrorism?". Fordham Law Review. 74 (6): 3236. Retrieved December 28, 2013. ^ Skinner v. Railway Labor Executives Association, 489 U.S. 602 (1989). ^ Beck v. Ohio, 379 U.S. 89, 91 (1964). ^ Johnson v. United States, 333 U.S. 10 (1948). ^ a b Carroll v. United States, 267 U.S. 132 (1925). ^ Landynski, Jacob W. (1986). "Carroll v. United States 267 U.S. 132 (1925)". Encyclopedia of the American Constitution. – via HighBeam Research (subscription required). Archived from the original on June 10, 2014. Retrieved July 28, 2013. ^ Dumbra v. United States, 268 U.S. 435 (1925). ^ Carroll, 267 U.S. at 162. ^ Texas v. Brown, 460 U.S. 730, 742 (1983). ^ Illinois v. Gates, 462 U.S. 213 (1983). ^ Schneckloth v. Bustamonte, 412 U.S. 218 (1973). ^ Landynski, Jacob W. (1986). "Schneckloth v. Bustamonte 412 U.S. 218 (1973)". Encyclopedia of the American Constitution. – via HighBeam Research (subscription required). Archived from the original on June 10, 2014. Retrieved July 31, 2013. ^ United States v. Matlock, 415 U.S. 164 (1974). ^ a b Crawford, Kimberly A. (August 1, 1996). "Consent searches: guidelines for officers". The FBI Law Enforcement Bulletin. Retrieved July 31, 2013 – via Questia Online Library. ^ Georgia v. Randolph, 547 U.S. 103 (2006). ^ Illinois v. Rodriguez, 497 U.S. 177 (1990). ^ Stoner v. California, 376 U.S. 483 (1969). ^ Coolidge v. New Hampshire, 403 U.S. 443 (1971). ^ Landynski, Jacob W. (1986). "Plain View Doctrine". Encyclopedia of the American Constitution. – via HighBeam Research (subscription required). Archived from the original on June 10, 2014. Retrieved July 31, 2013. ^ Arizona v. Hicks, 480 U.S. 321 (1987). ^ 480 U.S. 321, 325 (1987). ^ Hester v. United States, 265 U.S. 57 (1924). ^ Oliver v. United States, 466 U.S. 170 (1984). ^ Oliver, 466 U.S. at 179. ^ California v. Ciraolo, 476 U.S. 207, 213 (1986). ^ United States v. Dunn, 480 U.S. 294, 300 (1987). ^ Dunn, 480 U.S. at 301. ^ Jardines, 569 U. S. (slip op., at 6). "This implicit license typically permits the visitor to approach the home by the front path, knock promptly, wait briefly to be received, and then (absent invitation to linger longer) leave. Complying with the terms of that traditional invitation does not require fine-grained legal knowledge; it is generally managed without incident by the Nation's Girl Scouts and trick-or-treaters." ^ a b c d e Landynski, Jacob W. (1986). "Exigent Circumstances Search". Encyclopedia of the American Constitution. – via HighBeam Research (subscription required). Archived from the original on June 10, 2014. Retrieved July 31, 2013. ^ a b Weeks v. United States, 232 U.S. 383 (1914). ^ Schmerber v. California, 384 U.S. 757 (1966). ^ "Missouri v. McNeely" (PDF). Supreme Court. Retrieved December 5, 2014. ^ Warden v. Hayden, 387 U.S. 294 (1967). ^ "Courts in a muddle over 4th Amendment's community caretaking exception". ABA Journal. David L. Hudson. Retrieved 2018-09-29. ^ "The Community Caretaker Function Exception to the Warrant Requirement | Virginia Police Legal Bulletin | Radford University". www.radford.edu. Retrieved 2018-09-29. ^ Hendrie, Edward (August 1, 2005). "The motor vehicle exception". The FBI Law Enforcement Bulletin. Retrieved July 31, 2013 – via Questia Online Library. ^ Howe, Amy (May 29, 2018). "Opinion analysis: Justices decline to extend Fourth Amendment's "automobile exception"". SCOTUSblog. Retrieved May 29, 2018. ^ Moore, Kristina (April 21, 2009). "Limits on warrantless car searches, compensation to terrorism victims, veterans benefit disputes". SCOTUSblog. Retrieved April 22, 2009. ^ "Riley v. California - Concerning the Constitutionality of a Warrantless Cell Phone Search Incident to Arrest". Electronic Privacy Information Center. Retrieved July 1, 2014. ^ Arizona v. Gant, 556 U.S. 332, 339 (2009). ^ Trupiano v. United States, 334 U.S. 699 (1948). ^ United States v. Rabinowitz, 339 U.S. 56 (1950). ^ Chimel v. California, 395 U.S. 752 (1969). ^ Riley v. California No. 13-132, 573 U.S. ___ (2014). ^ Liptak, Adam (June 25, 2014). "Major Ruling Shields Privacy of Cellphones". The New York Times. Retrieved June 25, 2014. ^ Charlie Savage, Hannah Fairfield and Josh Williams (June 25, 2014). "Between the Lines of the Cellphone Privacy Ruling". The New York Times. Retrieved June 25, 2014. ^ Henderson v. United States (1967) , 390 F.2d 805 (9th Cir. 1967). ^ United States v. Guadalupe-Garza , 421 F.2d 876 (9th Cir. 1970). ^ a b c Upright, Scott J. (October 1, 2009). "Suspicionless border seizures of electronic files: the overextension of the border search exception to the Fourth Amendment". William and Mary Law Review. Retrieved August 1, 2013 – via Questia Online Library. ^ United States v. Flores-Montano, 541 U.S. 149 (2004), United States v. Montoya De Hernandez, 473 U.S. 531 (1985), and United States v. Ramsey, 431 U.S. 606 (1977). ^ Flores-Montano, 541 U.S. at 152–53. ^ United States v. Ickes , 393 F.3d 501 (4th Cir. 2005). ^ United States v. Arnold , 523 F.3d 941 (9th Cir. 2008). ^ United States v. U.S. District Court, 407 U.S. 297 (1972). ^ a b Vladeck, Steve (May 23, 2013). "More on Clapper and the Foreign Intelligence Surveillance Exception". Lawfare Blog - Hard National Security Choices. Retrieved July 17, 2013. ^ Selya, Bruce M. (August 22, 2008). "United States Foreign Intelligence Surveillance Court of Review Case No. 08-01 In Re Directives [redacted text] Pursuant to Section 105B of the Foreign Intelligence Surveillance Act" (PDF). U.S. Foreign Intelligence Surveillance Court of Review (via the Federation of American Scientists). Retrieved July 15, 2013. ^ a b Vladeck, Steve (May 22, 2013). "Why Clapper Matters: The Future of Programmatic Surveillance". Lawfare Blog - Hard National Security Choices. Retrieved July 17, 2013. ^ John D Bates (October 3, 2011). "[redacted]" (PDF). United States Foreign Intelligence Surveillance Court. pp. 73–74. ^ "U.S. Spy Bill Protecting Telecoms Heads To President Bush". Retrieved July 14, 2008. ^ Safford Unified School District v. Redding, No. 08-479, 557 U.S. ___ (2009). ^ Denniston, Lyle (June 25, 2009). "Analysis: Some expansion of student privacy". SCOTUSblog. Retrieved June 25, 2009. ^ Samson v. California, 547 U.S. 843 (2006). ^ Goring, Darlene C. (1984). "Fourth Amendment—Prison Cells: Is there a Right to Privacy". Journal of Criminal Law and Criminology. 75 (3): 609. doi:10.2307/1143635. JSTOR 1143635. Retrieved September 19, 2013. ^ a b c d Levy, Leonard W. (1986). "Exclusionary Rule". Encyclopedia of the American Constitution. – via HighBeam Research (subscription required). Archived from the original on November 11, 2013. Retrieved July 31, 2013. ^ Elkins v. United States, 364 U.S. 206 (1960). ^ Landynski, Jacob W. (1986). "Weeks v. United States 232 U.S. 383 (1914)". Encyclopedia of the American Constitution. – via HighBeam Research (subscription required). Archived from the original on June 10, 2014. Retrieved July 31, 2013. ^ Silverthorne Lumber Co. v. United States, 251 U.S. 385 (1920). ^ Nardone v. United States, 308 U.S. 338 (1939). ^ Landynski, Jacob W. (1986). "Silverthorne Lumber Co. v. United States 251 U.S. 385 (1920)". Encyclopedia of the American Constitution. – via HighBeam Research (subscription required). Archived from the original on June 10, 2014. Retrieved July 31, 2013. ^ Wolf v. Colorado, 338 U.S. 25 (1949). ^ "Mapp v. Ohio". Supreme Court Drama: Cases That Changed America. – via HighBeam Research (subscription required). 2001. Archived from the original on June 10, 2014. Retrieved July 31, 2013. ^ "California's Backfire on Crime". The New York Times. June 21, 1982. Retrieved July 31, 2013. ^ Crisera (1990), p. 1587. ^ United States v. Calandra, 414 U.S. 338 (1974). ^ Calandra, 414 U.S. at 354. ^ Calandra, 414 U.S. at 349. ^ United States v. Leon, 468 U.S. 897 (1984). ^ Leon, 468 U.S. at 926. ^ Nix v. Williams, 467 U.S. 431 (1984). ^ Levy, Leonard W. (1986). "Nix v. Williams 467 U.S. 431 (1984)". Encyclopedia of the American Constitution. – via HighBeam Research (subscription required). Archived from the original on June 10, 2014. Retrieved July 31, 2013. ^ Segura v. United States, 468 U.S. 796 (1984). ^ Hendrie, Edward M. (September 1, 1997). "The Inevitable Discovery Exception to the Exclusionary Rule". The FBI Law Enforcement Bulletin. Retrieved July 31, 2013 – via Questia Online Library. ^ Arizona v. Evans, 514 U.S. 1 (1995). ^ Herring v. United States, 555 U.S. 135 (2009). ^ Stinger, C. Maureen (February 13, 1996). "Arizona v. Evans: Adapting the Exclusionary Rule to Advancing Computer Technology". The Richmond Journal of Law and Technology. Retrieved January 16, 2009. ^ "Court says evidence is valid despite police error". Retrieved January 14, 2009. ^ Davis v. United States, 131 S.Ct. 2419, No. 09-11328, 564 U.S. ___ (2011). ^ Denniston, Lyle (June 25, 2011). "Opinion analysis: The fading "exclusionary rule"". SCOTUSblog. Retrieved November 25, 2011. ^ Waimberg, Joshua (June 22, 2016). "The Supreme Court's Utah v. Strieff decision and the Fourth Amendment". Constitution Center. Retrieved June 25, 2016. ^ Burdeau v. McDowell, 256 U.S. 465 (1921). ^ United States v. Janis, 428 U.S. 433 (1976). ^ United States v. Andreas, 463 U.S. 765 (1983). ^ INS v. Lopez-Mendoza, 468 U.S. 1032 (1984). ^ Griffin v. Wisconsin, 483 U.S. 868 (1987); United States v. Knights, 534 U.S. 112 (2001). ^ Pennsylvania Bd. of Probation and Parole v. Scott, 524 U.S. 357 (1998). ^ Leon, Richard (December 16, 2013). "Federal judge rules NSA program is likely unconstitutional". The Washington Post. Retrieved December 17, 2013. ^ Savage, Charlie (December 16, 2013). "Judge Questions Legality of N.S.A. Phone Records". The New York Times. Retrieved December 18, 2013. ^ Bill Mears; Evan Perez (December 17, 2013). "Judge: NSA domestic phone data-mining unconstitutional". CNN. Retrieved December 18, 2013. ^ Kravets, David (December 16, 2013). "Court Says NSA Bulk Telephone Spying Is Unconstitutional". Wired. Retrieved December 18, 2013. ^ Kevin Johnson; Richard Wolf (December 16, 2013). "Federal judge rules against NSA spying". USA Today. Retrieved December 18, 2013. ^ Gerstein, Josh (December 16, 2013). "Judge: NSA phone program likely unconstitutional". Politico. Retrieved December 18, 2013. ^ a b Ellen Nakashima; Ann E. Marimow (December 16, 2013). "Judge: NSA's collecting of phone records is probably unconstitutional". The Washington Post. Retrieved December 17, 2013. ^ Spencer Ackerman; Dan Roberts (December 16, 2013). "NSA phone surveillance program likely unconstitutional, federal judge rules". The Guardian. Retrieved December 18, 2013. ^ Pauley III, William H. (December 27, 2013). "United States District Court Southern District of New York: American Civil Liberties Union v. James R. Clapper (13 Civ. 3994) (WHP))" (PDF). American Civil Liberties Union. Retrieved December 28, 2013. ^ Adam Liptak; Michael S. Schmidt (December 27, 2013). "Judge Upholds N.S.A. 's Bulk Collection of Data on Calls". The New York Times. Retrieved December 28, 2013. ^ Denniston, Lyle (December 27, 2013). "Judge upholds NSA's phone data sweeps (UPDATED)". Scotusblog. Retrieved December 28, 2013. ^ Peterson, Andrea (December 27, 2013). "The most Kafkaesque paragraph from today's NSA ruling". The Washington Post. Retrieved December 28, 2013. ^ Horwitz, Sari (December 27, 2013). "NSA collection of phone data is lawful, federal judge rules". The Washington Post. Retrieved December 28, 2013. ^ Ackermann, Spencer (January 2, 2014). "ACLU will appeal ruling that NSA bulk phone record collection is legal". The Guardian. Retrieved January 4, 2014. Davies, Thomas Y. (1999). "Recovering the Original Fourth Amendment". Michigan Law Review. 98 (3): 547–750. doi:10.2307/1290314. JSTOR 1290314. Fourth Amendment Lesson Plan (PDF). U.S. Department of Homeland Security, Federal Law Enforcement Training Center. February 10, 2010.